How to Create a ‘Market-Oriented’ Design? Regardless of what business genre you operate in, identifying your target market is the key to success. Not only does this help in narrowing down your marketing efforts, it also helps you in cost-cutting. This is because in today’s miserable economic conditions, no business can afford to serve all and sundry. Hence, a clear and well-defined target market is prudent in effectively serving a niche customer base. The first step in creating market-oriented designs is to properly analyze the respective industry. Customers behave differently across business genres. For instance, a customer’s purchasing behavior will be different when buying a car and a laptop. Hence, designers must thoroughly scrutinize the dynamics of their client’s industry and keep their design concepts aligned with the industry standards. After meticulously examining the industry and market, you need to conduct a competitor analysis. Let us take the example of a brand identity project. In order to ascertain that your design is market-oriented, you should examine the identities of your client’s contender companies. This helps you in understanding what design elements are suitable for that particular target market. The hardest part in market orientation is to determine your relevant niche of customers. Not only do you have to discover which segment of the market needs your product or service, you also have to ascertain the niche category that is almost certainly interested. In order to do that you must work out the demographics of your intended audience which includes finding factors such as age, location, gender, Income level, education level, family size, occupation, ethnic background of the customers. For instance, designing a movie poster for grown-ups and teenagers will be dissimilar as your design elements will be peculiar to what attracts the target audience. Nowadays, customers are extremely responsive to brands. They are sensitive to the intrinsic benefits that products and services provide them. That is why customer analysis does not end at realizing the demographics only. You must also ascertain the psychographics of your niche customers in order to incorporate the right design elements that will make an impact. Psychographics are supplementary characteristics of a person that he/she displays as an individual. These include factors like personality, attitudes, values, hobbies, lifestyles and behavior. This is why advertisements for soft-drinks like Mountain Dew are designed to appear daring and adventurous since they target the audience with a similar attitude. The final stage of creating a market-oriented design is to test your concept on an experimental basis. The most common way of accomplishing this is through focus group. Let’s say you were working on a brand identity whose target market is single mothers with age bracket of 21-55. In order to test the responsiveness of your design, select a small number of similar test subjects and see how they react to your visual concept. If you receive majority of negative responses from your focus group, it means you should go back to the drawing board. Re-adjust your design until your design passes the initial test phase. To sum up, you simply cannot overlook your target market when designing. Even though it is extremely painstaking and time-consuming to identify and recognize your intended audience, but you design will not be effective unless it is market-oriented. Once you know who you are targeting, you can easily communicate the corporate message by means of your design. Nora Reed runs Logoblog.org where she writes about logo design trends, tips for logo designers , famous logos and showcases inspiring logo design collection. The concept is really very useful. 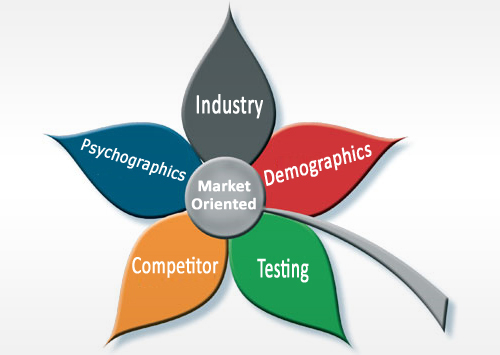 Market orientation plays a vital role in creating business performance. I like to share some more points on this. Organizations can adopt these orientations. Production concept,product concept,selling concept,social marketing concept. I always find it hard to narrow down the target audience and know the customer. I find the best way of creating a design is to get what the client wants then research competitors and also what their customer base wants. Once i do that i make sure that the design is user friendly and SEO friendly. That way there is not room for error. Well-written article with lots of useful information. Unfortunately, it is rare that all these steps are followed but I think the one missed most often is a good test run of the design! My advice would be to build what the client wants. I also recommend what I think would be the best option by looking at what their competition is doing right and what they are doing wrong. Then I cherry pick the best of features of a competitor then improve on the weak points when the client budget permits. If your building something new thats never been done a thousand times before then congrats to you! Most products in todays world have the same look and feel. Soda cans for instance, theres about 1000 different ones but they all contain the same ingredients for the most part.